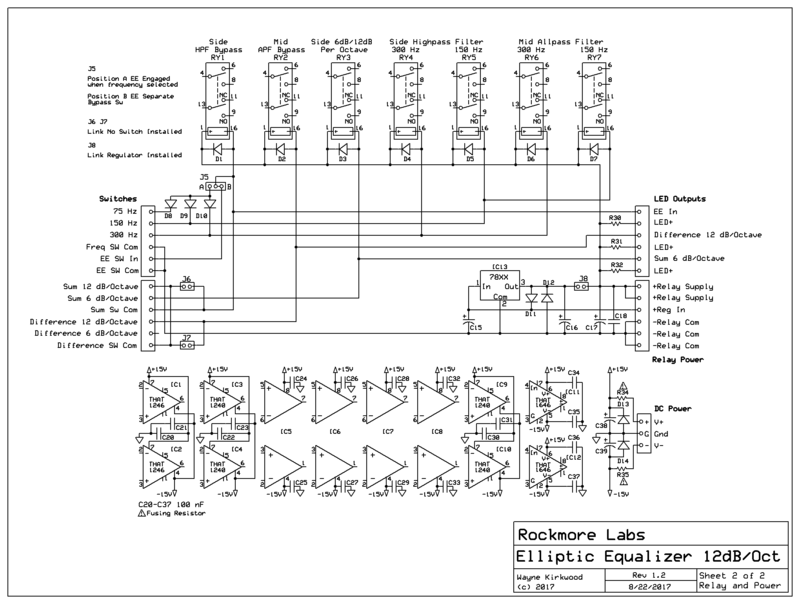 This thread documents construction of the EEQ-12 Elliptic Equalizer. 24V relays are recommended if the available relay supply is >24V or the relays are powered from the +/-15V audio supplies. 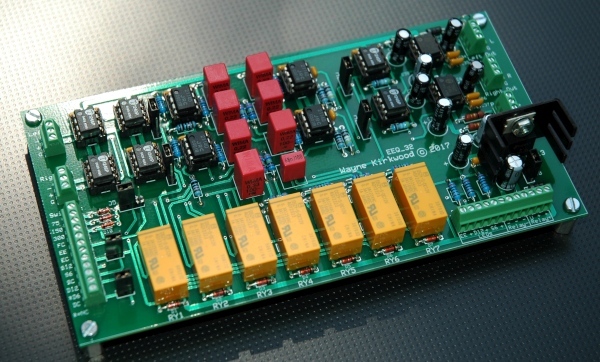 KA-Electronics EEQ-12: Among the minimum phase alternatives, the KA-Electronics EEQ-12 is the standout. 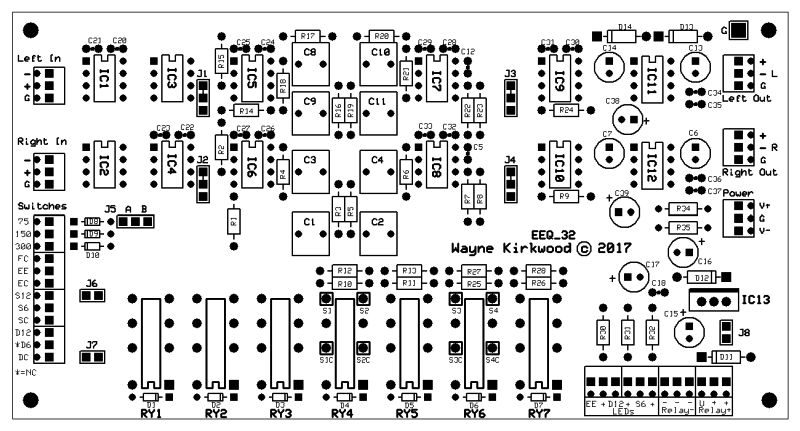 This analog DIY device, designed and sold by Wayne Kirkwood, manages a 12dB/octave slope without the negative affects of phase shift usually associated with higher order filters. In a nutshell, he does this by compensating with cleverly designed all-pass filter network. If you’re interested in further reading on this device, you can see the design process here. Worth noting, the EEQ-12 tested uses a cutoff frequency of 150Hz rather than the 100Hz setting chosen for all other processors. 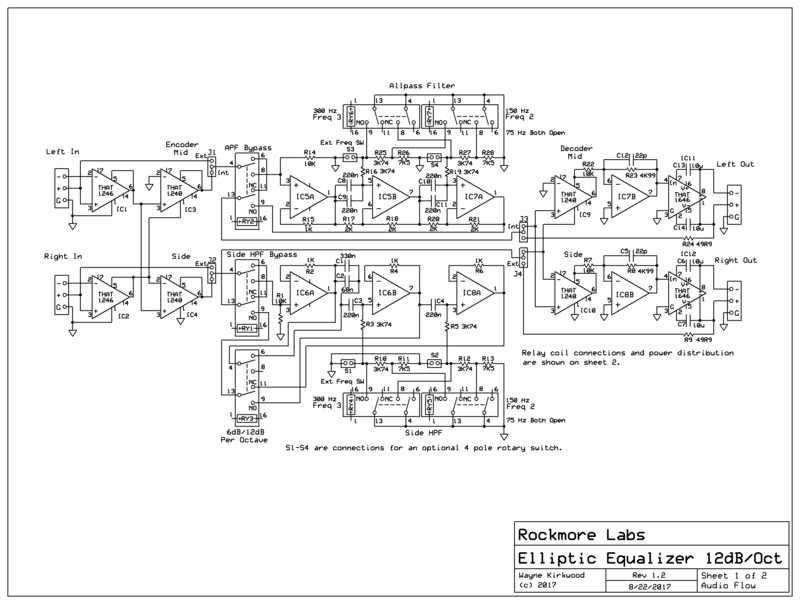 Even so, it achieves better separation in both the frequency and stereo spaces, and with less phase shift to boot, than any of its 6dB/octave minimum phase elliptical EQ cousins.